"A Reign of Terror", published in Manhattan Mercury of Manhattan, Kansas, on May 3, 1890, illustrating the lawlessness and terror in some parts of the Old (Wild, Wild) West, even as the dawn of the Century approached. By 1890--the date this vintage newspaper article was published, most of the American West was settled, the Indian Wars were over, settlements had become towns, and most of what made the West Wild had been brought to heel. Obviously not everywhere. 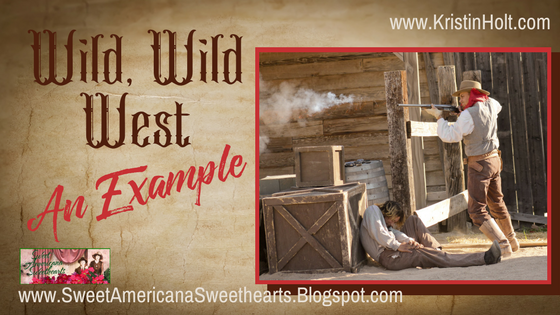 As readers, we romanticize the Old West, and love stories set there (I'm guilty as charged). But to live then? I can't imagine how difficult that would be. I.T. stands for Indian Territory, now known as Oklahoma. Lehigh, this mining town in the Choctaw Nation, where "a reign of terror" kept 'good people' quiet, sent others scurrying for cover, and pressed many into "emigrating"... a.k.a. skedaddlin'. I can't imagine living in such lawlessness. Mining towns were among the most wild, most rowdy, least law-abiding places in the American West. Lehigh's history began relatively late--1877, when a man named Davis discovered coal. Five years later, a post office opened, and railroads came through. After all, coal kept those steam engines rolling. My first mining town setting was The Bride Lottery, a mining camp trying to make things more permanent, and give their little settlement a chance as a town. To make things last, they need women to marry, start families, and help them carve a life out of the high mountain valley (not far from Leadville, Colorado). I enjoy writing mining camps and towns with significant mining influence. Such settings are icons of the Old West and played key roles in the settling of the American frontier by men and women of various ethnicity. One of my newer releases, Pleasance's First Love, spends a few scenes in historic Leadville, Colorado, smack-dab in the middle of a lawless period much like the one described in this newspaper article. Learn much more about Leadville on my website's page about this title. I'm particularly honored to have been included in the Sweet Americana Sweethearts' group series, Grandma's Wedding Quilts, where this title is book #6. Hi! 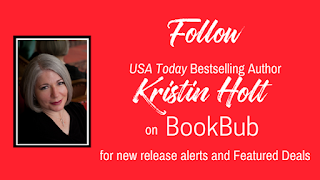 I'm Kristin Holt, USA Today Bestselling Author of Sweet Romances Appropriate for All Audiences. Please follow me on BookBub! Oh, Doris! I'm jealous of the ease with which you can visit, explore, and research some of the top locales on my Author Bucket List. What treasures, and to live near them...wow! I've loved reading and studying about Leadville, and have purchased many historical books about Cripple Creek and one called "Colorado Mining Stories". Brain Candy for amateur historians like me. Thank you for stopping by and commenting. Thank you, Doris. What a generous offer! Much appreciated. As always, Kristin - great post! BLOG TOUR TUESDAY & A NEW RELEASE! RESEARCHING KANSAS & A MOTHER'S DAY SPECIAL!